The Rivertime Trust was set up with the mission to introduced disabled children to water activity. It was started by Pat Davis who had been was stymied finding a river boat that would accommodate disabled individuals (accessibility, safety concerns). So thinking in a way that only a maverick like Pat would, she set out raise £165,000 to build her own boat specifically catering to all the needs of disabled children – “Rivertime”. 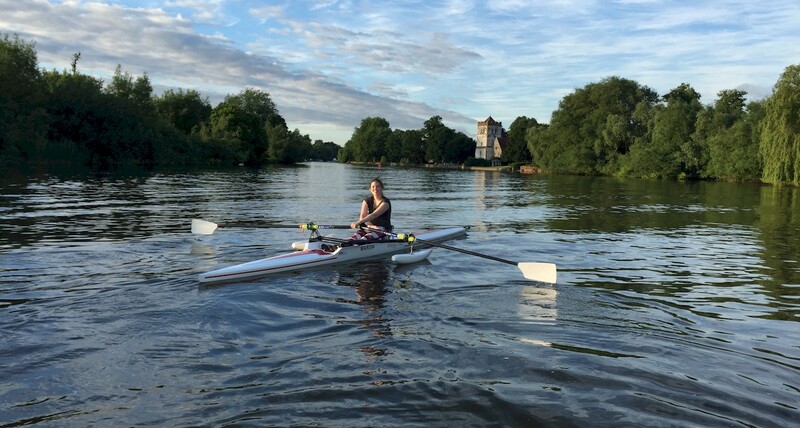 Last year, Pat then initiated the first ever Rivertime Accessible Regatta with an objective of expanding to all sorts of water craft that disabled children could enjoy on the water. Sailing, canoeing, dragon boating, bell boats, wheely boating, kayaking, and of course, rowing, were all included in this week’s second annual incarnation of the event. 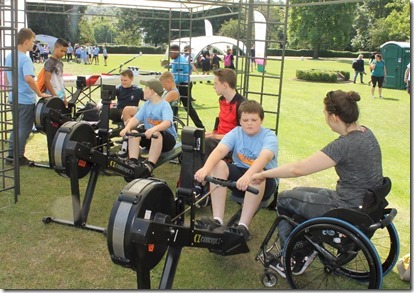 Hundreds of children from SEND (Special Educational Needs and Disability) converged on Bisham Abbey National Sports Centre where Marlow Rowing Club hosted a pavilion. Marlow adaptive rowers – (front to back in photo above) Zoe Berwick, PJ O’Donovan, and Mateusz Stan – manned three rowing machines to introduce guests to the fundamentals of the rowing action by. In fact, one of Marlow Rowing Club’s own junior rowers, Sebastian Johnson, joined the day with his school from Oxford. The event included plenty of support from the British rowing world. The charity’s patron is Olympic champion Sir Matthew Pinsent CBE. 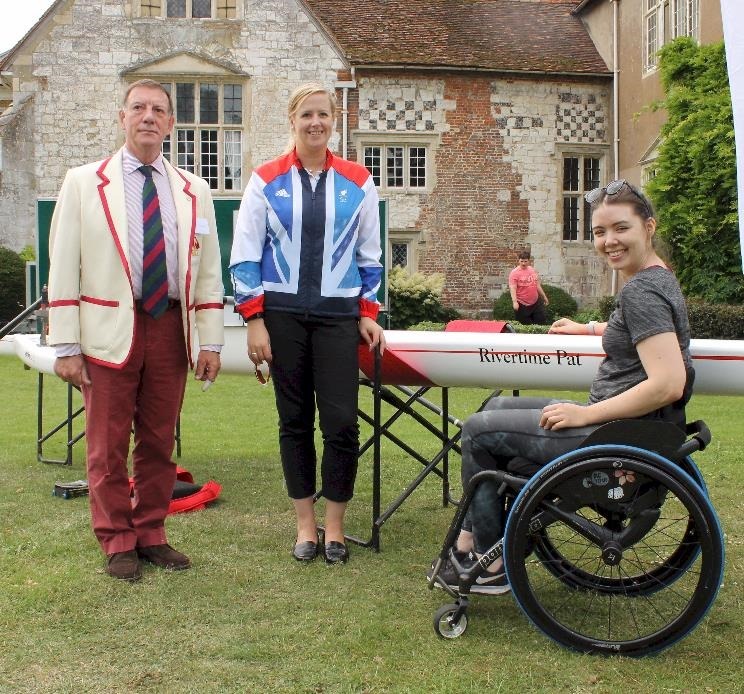 On the day itself, Paralympics rowing champions Naomi Riches MBE (photo below) and James Fox MBE as well as world champion Giedre Rakauskaite all came down to support the regatta. Marlow also brought down its adaptive single, “Rivertime Pat” (see photo below), which is named after Pat Davis who unfortunately passed away earlier this year (see photo below). The boat was not only a hat tip to Pat’s great work, but also provided a display to demonstrate how the adaptive boat work with a range of adaptive seats brought down.